Will these be the rubrics under which to judge the success of the agreement? These are the claims made by a lot of experts, including President Obama himself. But is there any evidence over the last several years to support this kind of wishful prognosis? Have there been any signs of moderation signaled by the regime heretofore? With these kinds of claims, have the supporters of the deal set the bar too high on their own argument? If this is in fact what happens, then would that mean the deal was a bad one? Maybe. Or is there a way to understand and even support the deal without the hopeful claims put forth by its supporters? It could be that the deal will do none of things its supporters claim, but that it would still be a better arrangement than the alternative of no agreement. I’m not sure. A lot will depend upon the actual terms of the deal as understood and implemented by both sides. Will Obama “study the reality of Iranian activity in the region, and begin to push back against Iran’s ambitions with more alacrity than he has done so far”? (He actually put this in the form of a statement, which I’ve turned into a question.) My own guess is that Syria and maybe Lebanon will be the linchpin. If the Obama policy in Syria has been any indication, there’s not much reason to hope. Obama forced the regime there into an agreement about chemical weapons while the government continues the slaughter of its own people. 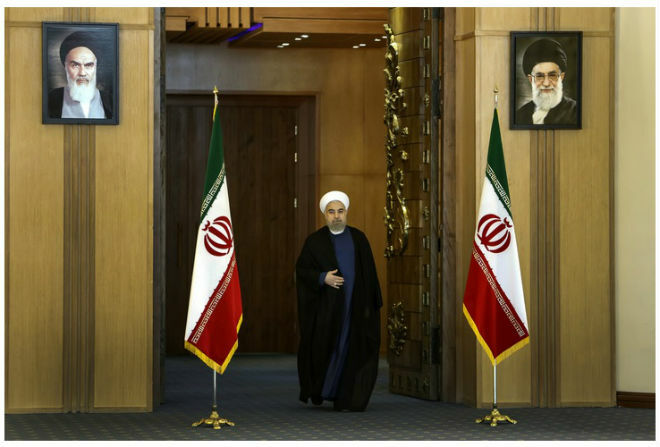 About the Iran deal, it’s time now to read the details and to wait and see how this plays out in the U.S., Iran, Israel and the Arab capitals. It just seems that the arguments in favor of the deal are bad ones if only because there seems to be little evidence to show for it.